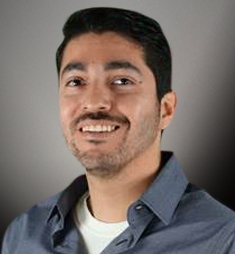 Jesse Ortiz is a Senior Full-Stack Web Application Developer, currently living in Los Angeles, CA. He has a Bachelor of Science in Multimedia Design Technology from MSC. His primary focus and inspiration for his studies is in Web Development, and in his free time, he studies the current design trends and programming patterns. Prior to joining JohnHart, Jesse spent over ten years working for an entertainment company in Glendale where he honed and excelled at Web Development. There he acquired his experience, while joining a team of developers to create a network of websites that are still growing strong today. At JohnHart, Jesse plans to play a major role at JohnHart with limitless growth potential.